CLEARFIELD – While a funnel cloud hovered over the Clearfield area on Tuesday evening, there weren’t any confirmed tornado touchdowns. 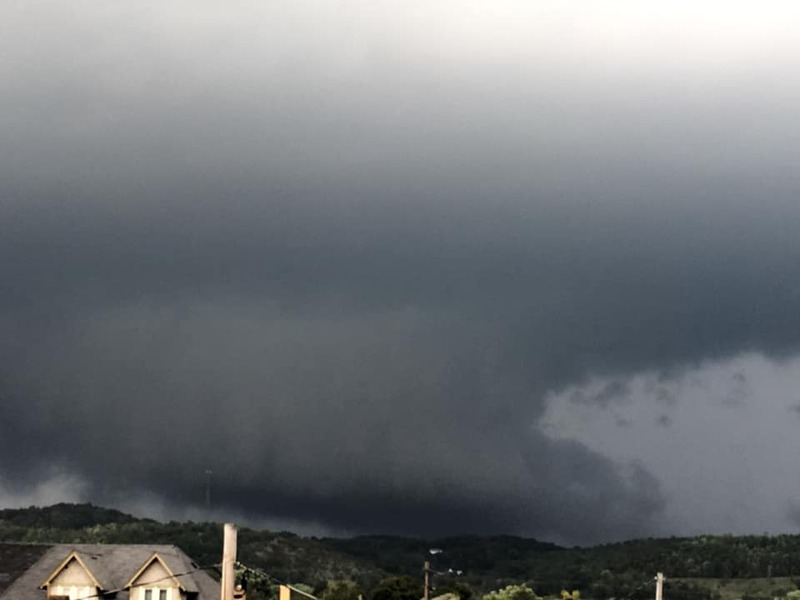 However, a tornado was reportedly observed around 6 p.m. near Reynoldsville in Jefferson County, said Danielle Knittle of Accuweather in State College. She said the weather service will conduct several tornado assessments Wednesday and Thursday in a number of counties in western and central Pennsylvania, including Jefferson. Knittle added that the weather service will issue storm surveys upon the completion of each investigation. According to a previously-published GANT News report, Clearfield County started out under a Tornado Watch that was in effect until 11 p.m. Tuesday. The U.S. National Weather Service then issued two Tornado Warnings. The first was in effect until 5:45 p.m. for the central part of the county. It was prompted by a severe thunderstorm observed at 5:05 p.m. that was capable of producing a tornado. It was located over Plymptonville and was moving east at 25 miles per hour. This “dangerous” and “tornadic” storm was expected to be near Clearfield around 5:10 p.m., Woodland around 5:20 p.m., and Lecontes Mills around 5:30 p.m., this weather advisory stated. The first advisory included areas between the Penfield and Kylertown Interstate 80 exits from mile markers 115 to 127. This also included U.S. Route 322 from Clearfield to near Wallaceton. The NWS issued a second Tornado Warning that was in effect until 6:30 p.m. Tuesday for the central part of Clearfield County. It was due to a severe thunderstorm capable of producing a tornado that was located over Sandy at 5:32 p.m. and moving east at 35 mph. This “dangerous” and “tornadic” storm was expected to be near Rockton around 5:50 p.m.; S.B. Elliot State Park and Curwensville around 6 p.m.; Clearfield, Plymptonville and Hyde around 6:10 p.m.; and Lecontes Mills and Woodland around 6:20 p.m., the second weather advisory stated. Other locations, which were expected to be impacted, included Troutville, Wallaceton, Morrisdale, Kylertown, Treasure Lake, Clearfield-Lawrence Airport, Penn State Dubois and Grassflat. This also included areas between the DuBois and Snow Shoe I-80 exits, specifically from mile markers 97 to 134. During the severe weather across the central Pennsylvania region, the NWS urged residents to “take cover now” and move to their basement or interior room on the lowest floor of a sturdy building. If residents were outdoors, in a mobile home or in a vehicle, they were advised to move to the closest substantial shelter and protect themselves from flying debris.